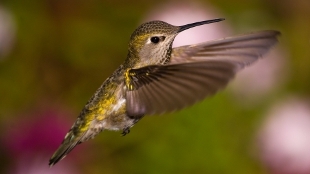 Anna's hummingbird, the champion hoverer, in terms of efficiency.WIKIMEDIA, PADDYSPIGHummingbirds are better hoverers than even the most advanced micro-helicopters, but engineers aren’t far behind the birds when it comes to efficiency. Anna’s hummingbird, the species that achieves the most efficient hovering, is more than 20 percent more efficient than the Black Hornet, a 16 gram micro-drone helicopter used by the British Army for surveillance in Afghanistan, according to a study published Wednesday (July 30) in The Royal Society’s Interface journal. But the average hovering efficiency of the wings from 12 hummingbird species tested by Stanford University’s David Lentink and colleagues was on par with the helicopter. “This shows that if we design the wings well, we can build drones that hover as efficiently, if not more efficiently, as hummingbirds,” Lentink told BBC News. 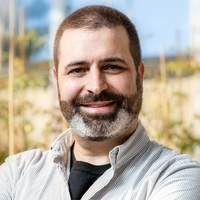 Lentink and his coauthors tested hummingbird wings from museum specimens in a special apparatus called a wing spinner that helped them measure exactly how much force the birds needed to generate to lift their body weight into the air. The researchers also shot high-speed video of hummingbirds in flight to observe the precise movements of their wings. 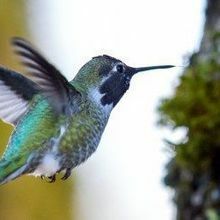 “By combining the wings' motion with the drag [that we measured in the lab], we were able to calculate the aerodynamic power hummingbird muscles need to provide to sustain hover,” Lentink told BBC News.